I graduated with a degree in public relations. The PR field has a bit of a stigma as being made up of a group of unethical, dishonest smooth talkers, who get our way. While I was in school the term “spin doctors” became a curse word, and it was drilled into us that we must ALWAYS tell the truth. Obviously, from a moral standpoint, I agree and strive to do this in my personal life. But, whether or not we want to admit it to ourselves, in client communication there is a degree of ‘telling them what they want to hear’ that has to be accounted for. Now for any of our clients reading this, I have never [intentionally] lied to you. I hope this is obvious. I have, however, always tried to help reassure you that we are smart, on top of things, and you needn’t worry about a thing. I have found that this reassurance is one of the most valuable tools in effective client communication. When the client is happy, the agency is happy. As much as we try, however, this happiness isn’t bred solely out of lunches out or rounds of golf. This trust comes from a belief that the agency is going to make the client look good – the job is going to get done, and it’s going to be good. As much as AEs are able to reassure the client that this is happening, the better things are going to be for everyone. Under the assumption that the work will, in fact, be good, and trust can be cultivated with the client, the AE needs to nourish it. The client should always feel that you are their advocate and always have their best interest at heart. Do you know about their business and industry? Are you aware of what the competition is doing? Can you talk the talk, and walk the walk with the client (even if that means sometimes seamlessly transitioning from one to another)? The trust that the client has with the agency grows as they feel that their “marketing partner” has become an imbedded part of their marketing team. Sometimes partnership means rolling your eyes alongside the client when they feel frustrated about a decision their administration made. It can mean inquiring about how they are feeling about the marketing direction on a frequent basis – to ask about how they feel the relationship is going. And sometimes it just means remembering their favorite drink. 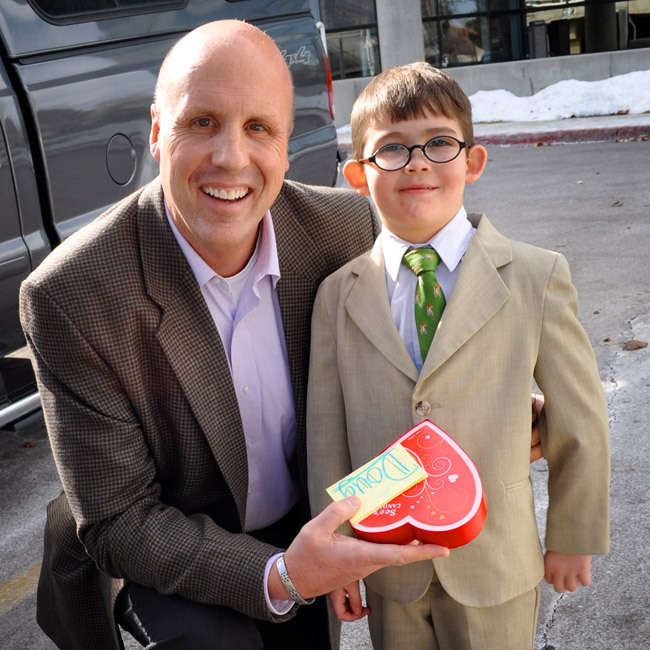 Mini-Dave delivering valentine chocolates to a good friend and client. As we all know, however, the most important first step in communicating is listening. If we are listening to our clients and honestly trying to understand their needs and concerns, genuine communication will follow.